So whether you're outfitting a new motel or you're interested in supplemental air conditioning in an under-served area of your home, PTACs have you covered. How Do PTAC Units Work? Packaged terminal air conditioner installation requires sufficient space inside a wall, but much less space on the exterior of the wall, making them ideal for more confined living spaces. PTAC units consist of a compressor, a heat exchanger coil, and a blower, all neatly contained within a single case. Because they're entirely self-contained, they're great for conditioning single rooms or small apartments where available space is everything. 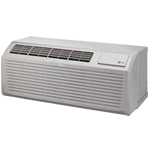 PTAC units can heat an area by using a heat pump or electric heat. 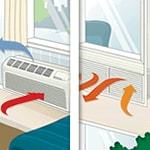 Both can use electric heat, but heat pump units concentrate the heat already found in outside air and pump it inside. 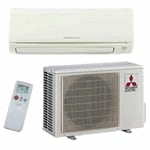 A heat pump brings in concentrated heat from outside air. Heat pumps are more efficient, but are typically only found in warmer climates because they don't operate as well once outside temperatures drop below 40 degrees F. Select units may operate in temperatures below 40, but efficiency generally decreases with the temperature. Units with electric heaters pass air over a heating element that's warmed by an electric current. The warmed air is then dispersed throughout the room by a strong fan. 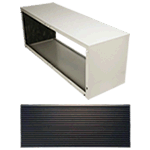 These units are ideal for cooler climates because they don't rely on heat from outdoor air. If you choose a unit that has too low of a BTU capacity, it'll have to work overtime to cool the area, which will wear out the unit and cost you more on your energy bill. If you choose a unit that has too high of a BTU capacity, it won't remove humidity from the air effectively enough, leaving the room damp. A higher BTU capacity can also wear out the unit by cycling on and off too frequently. To make sure you are getting the right size PTAC, don't just rely on simple square footage estimates. There are many other factors that can have a large impact on the BTUs needed to heat and cool your room. Instead, use our PTAC sizing tool below to get an estimated BTU range for your space. 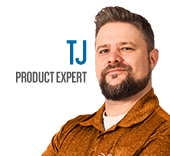 This tool was created by our engineers as a simplified "Manual J", the advanced calculation used by professionals to determine exact heating and cooling loads. If you're looking to install the unit where one never existed before, you'll need some extra PTAC accessories to complete the installation. A wall sleeve will be needed for inserting the unit into the wall. This item should be sized to match the unit you're using it for. While most PTAC units are the same width, there may be some variations out there. An external grille will be important for protecting the coils on the back and maintaining proper air flow. Again, make sure it's the right size for your unit before ordering. 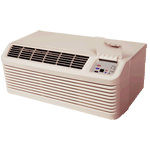 PTAC: Self Contained Air Conditioner Buyer's Guide - How to Pick the Perfect Packaged Terminal Air Conditioner. Our heating, ventilation and cooling equipment how-to library can help you pick the perfect comfort solution for your home.